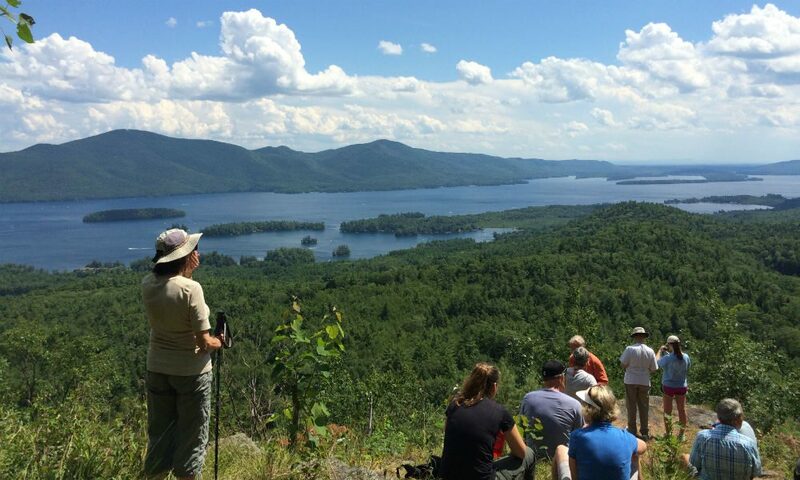 Sponsored by the Lake George Land Conservancy, it consists of hiking, paddling and other outdoorsy activities. The Pinnacle Preserve is a 73-acre parcel of land five minutes from Bolton Landing protected by LGLC. When you go to college in Burlington, VT, Earth Day is kind of a big deal. It’s not just the fact that when you’re in Burlington, home of notably progressive 2016 Democratic Presidential candidate Bernie Sanders, you’re surrounded by a flock of earth-loving hippies: You’re also surrounded by the Green Mountains, a 250-mile mountain range spanning the entire state of Vermont, to the east, and the Adirondack Mountains of New York across Lake Champlain to the west. When there’s that much nature around, people tend to care more about it. This weekend, I’ll be spending Earth Day in Upstate New York for the first time in four years. It’ll be hard to beat St. Michael’s College’s Earth Fest, a celebration of nature complete with a live band, bike-powered smoothie station and bring-your-own reusable container policy for ice cream, not to mention the campus-wide townhouse electricity-saving competition leading up to April 22. But recently, I stumbled across a way to celebrate Earth Day that may just one-up Earth Fest: The Lake George Land Conservancy’s (LGLC) Round the Lake Challenge. 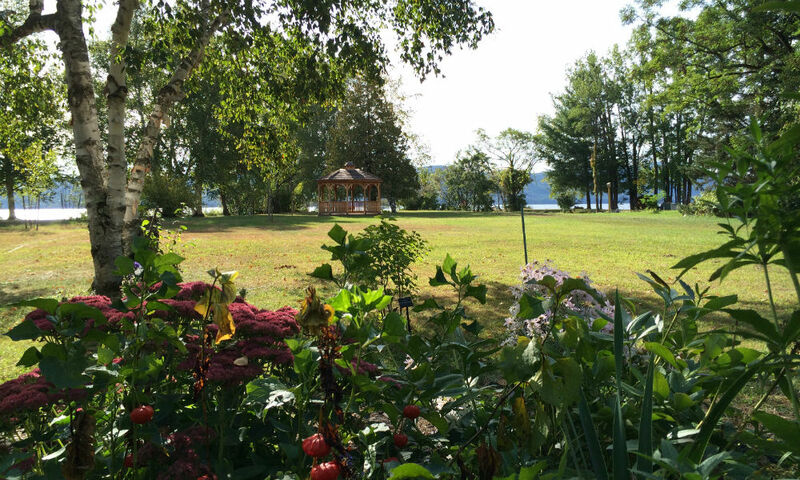 Peggy’s Point in Hague includes 315 feet of shoreline, a gazebo and shaded benches. LGLC is a nonprofit land trust that works with landowners and the public to protect the world-renowned water quality of Lake George and to preserve the natural, scenic, historical and recreational resources of the Lake George region. By acquiring land containing and surrounding wetlands, streams and other bodies of water, LGLC assures the preservation of the pristine waters flowing into Lake George. As for the Round the Lake Challenge: It’s a way to educate the general public on the Lake George watershed. Stay with me, here—it’s more fun than it sounds. The Challenge, launched in 2012, consists of more than A Beginner’s Guide To Hiking: Part I, which highlights five of the hiking missions)—plus parts of a few multi-part missions. Next on my list? The Lake George Association’s Floating Classroom. 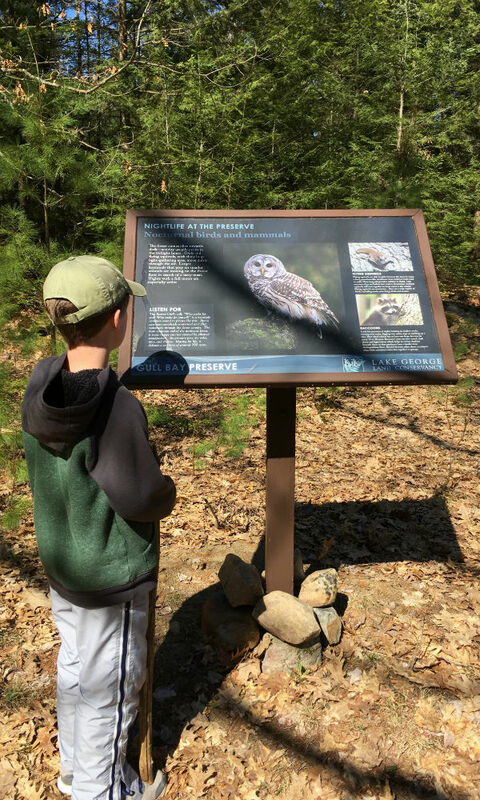 A young conservationist learns about owls at Gull Bay Preserve in Putnam in Washington County. While the Round the Lake Challenge’s main goal is to give people in the area an appreciation for the land they live on and near, it’s also arguably had a positive effect on the health of the region. “Despite the lake’s proximity to New York City and the development pressure that has changed so many other places, thanks to ongoing land protection efforts, the water remains pure enough to drink and the land around it relatively undeveloped,” Hoffman says. And LGLC’s efforts haven’t gone unnoticed: Lake George has been nationally recognized for its clean water, in 2015, Condé Nast Traveler named Lake George one of the 15 most beautiful lakes in the US, and just last year, Country Living named it one of the 15 clearest bodies of water in North America. For those of you interested in completing the Round the Lake Challenge (or are nearing completion of it), here’s what you need to do to make it official: Once you’ve completed at least 20 missions—and kept track of them on the official Round the Lake checklist—mail the evidence in to the LGLC. Your name will appear on the Round the Lake Roster on the LGLC website. As of now, there are only 25 names. I’m definitely joining the race to be the 26th. I may not be enjoying a smoothie from a bike-powered blender this April 22, but I will be out enjoying all Mother Nature has to offer, right in my backyard. For more ways to celebrate Earth Day 2018, check out saratoga living‘s The Calendar.